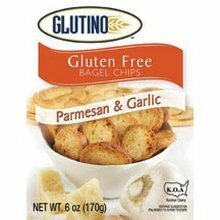 Glutino Parmesan/Garlic Bagel Chips 12x 6 Oz by GLUTINO at Smokey Robinson Foods. Hurry! Limited time offer. Offer valid only while supplies last. View More In Bagel Chips.